I’ll pass on the marshmallows, the cookies, the cakes, and yes, the chocolate. That souffle I made last week? More of a crowd-pleaser than a personal indulgence. But here is a dessert I will never pass on. 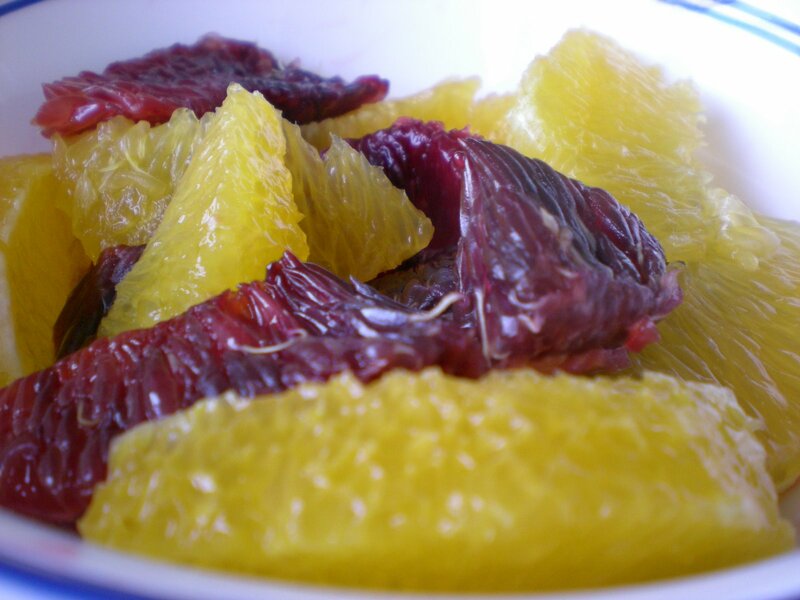 Orange segments in red wine is sweet but never saccharine. It has a deep, seductive, earthy flavor similar to German gluvine. Equal parts syrupy, tart, and bitter, this simple dessert is the perfect note on which to end a sophisticated meal. Supreme (segment) 2 navel oranges and 2 blood oranges into a large bowl, making sure to remove all the bitter pith. 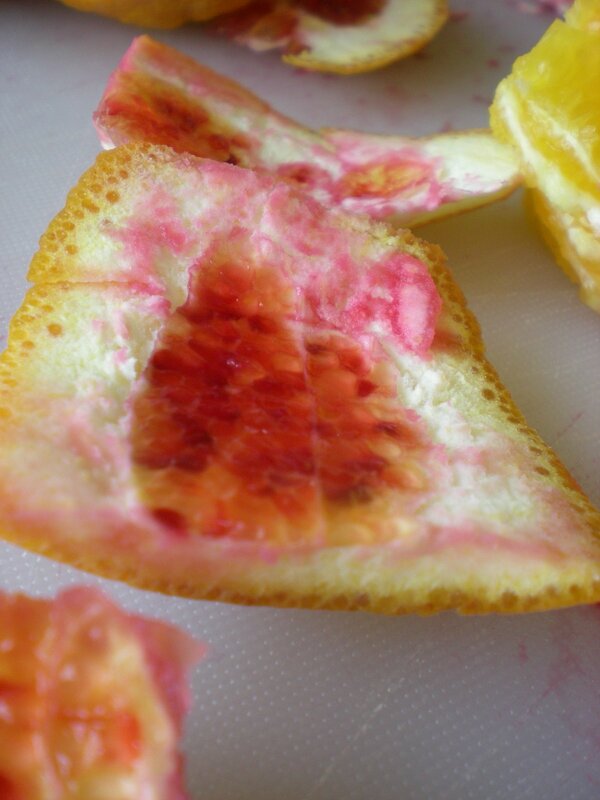 Squeeze the remaining pulp to release the juices. Divide the orange segments between 4 stemless wine glasses. Drizzle each with 1/2 tbsp of clover honey. 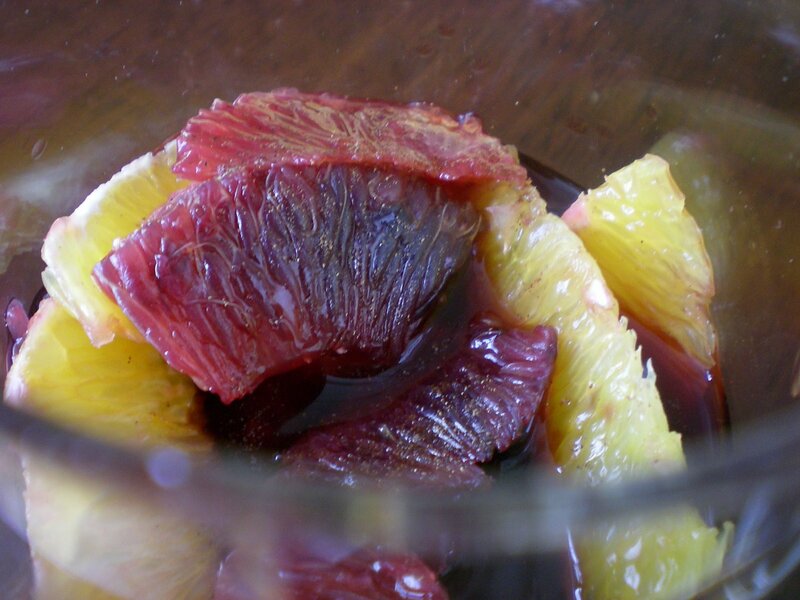 Pour 1/2 cup red wine over oranges. Sprinkle with 1/4 tsp ground allspice.